Recently we had a great success story with one of our clients at our Beverley practice. We thought we would share it with you. Jane* came to see us because she was finding that she was getting stiff and sore at the end of the day in front of the computer and this got worse as the week progressed. When we assessed her we found that she had only a moderate restriction to her movements in her neck and upper back but she did have a lot of soft tissue tightness; this was probably a result of all the prolonged sitting at work. Jane* reported that there were times that her soreness prevented her from taking part in her craft hobbies at home and it had even begun to affect her weekly social netball games. 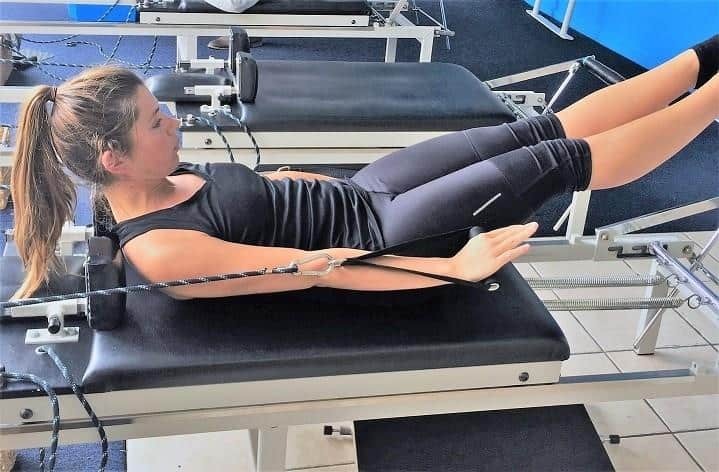 Over a couple of months Jane* started attending the practice for a Physio Group Exercise program that focused on improving her spine strength, increasing core stability, re-teaching posture awareness and improving her overall strength and flexibility. The results have been great and now Jane* has reported that she gets through a week at work without pain and feels stronger and more mobile. Her hobbies aren’t a problem and she hasn’t missed a netball game in the last month. She has dropped her program back to twice a week and is working on enhancing her program with more complex exercises.